The North Dakota oil speculator accused of pulling the strings in a murder-for-hire plot to kill a South Hill man kept guns and frequented a nearby shooting range despite multiple felony convictions, prosecutors allege. 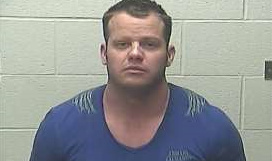 Federal agents arrested James Henrikson, 34, on Saturday near Bismarck, N.D., where he remains jailed on the firearms possession without bail while a grand jury considers criminal charges. He is charged with being a felon in possession of a firearm after federal agents last week found a safe in his western North Dakota home containing multiple pistols, shotguns and a rifle. Henrikson asked the judge for a public defender Tuesday during his first appearance in court. Spokane police suspect Henrikson is linked to the Dec. 15 shooting death of Doug Carlile. Investigators say he directed Timothy Suckow to kill Carlile as their business partnership in a potentially lucrative oil deal soured. Henrikson and Carlile were associates for at least two years. Henrikson told police that Carlile owed him nearly $2 million from dealings on the mineral rights to tribal lands already producing hundreds of thousands of dollars worth of oil daily. U.S. Magistrate Judge Charles Miller told Henrikson at the hearing Tuesday the firearms charge was filed to keep him in custody while a grand jury mulls indicting him on additional criminal counts. Henrikson and Carlile were business partners in a Spokane-based firm called Kingdom Dynamic Enterprises, according to investigators. The two met through a mutual acquaintance, Tim Scott, who was a longtime employee of Carlile. Carlile grew wary of Henrikson, who attempted to buy him out of the company when investors were turned off by debts they said Carlile owed them, according to court documents. Carlile told his sons shortly before the shooting that if anything happened to him, Henrikson was likely the culprit, according to police. Henrikson’s criminal history includes five felony convictions out of Deschutes County, Oregon, according to federal investigators. The most recent conviction was for the illegal manufacture of marijuana in February 2011. Henrikson was also found guilty of eluding police, burglary, assault and theft dating back to 2001, according to federal investigators. In spite of these convictions, Henrikson often visited a gun range and store in Watford City, N.D., according to one of Henrikson’s investors interviewed by police. The criminal complaint Tuesday wasn’t the first time a federal court has heard from Henrikson. He asked Google last year to turn over records of a blogger posing as him, posting photos of him and his wife. The blogger alleged Henrikson had scammed several clients and was involved in the disappearance of a former operations manager, Kristopher “KC” Clarke. Henrikson said the accusations were false and defamatory. The websites and online profiles cited in the legal filing by Henrikson have since been taken down. Alleged gunman Suckow remains in Spokane County Jail in lieu of $2 million bond. Bismarck Tribune reporter Jenny Michael contributed to this report.